Breads and Wraps | Naturally. I keep enough bread/wrap products around to feed a small army. It’s a quick way to complete a meal and all of the items below freeze well for a few months. Some of these items are in my pantry all the time. Others are purchased occasionally for a specific recipe. If selecting store-bought items, check the labels — many of these products have extra ingredients that aren’t really necessary. Bagels, well known for their chewy interior and crisp, golden exterior, are an occasional occurrence in our home. I like toasted bagels smeared with cream cheese and sometimes use a bagel in place of bread for a hearty lunch sandwich or melt. I’ll often buy or make a batch and freeze all of them, only pulling out what I need. Bagels will last 2 to 3 months in the freezer or a few days in the refrigerator (for homemade/fresh bagels). I prefer simple whole wheat bagels with sesame or poppy seeds on top, but the there are many different flavors/variations on the market. Bagels are made following a similar process to homemade bread, with one extra step. Bagels are boiled in water (or a water mixture) before baking which creates the bagels’ well known texture. Homemade bagels can be a fun weekend project, then frozen to use throughout the month. English muffins are similar to bagels for me: a once in a while purchase that I keep in the freezer for breakfast companion or occasional sandwich. One of my favorite things to do is make homemade egg sandwiches if we’re in the hurry to get out the door and English muffins are the perfectly portable solution. 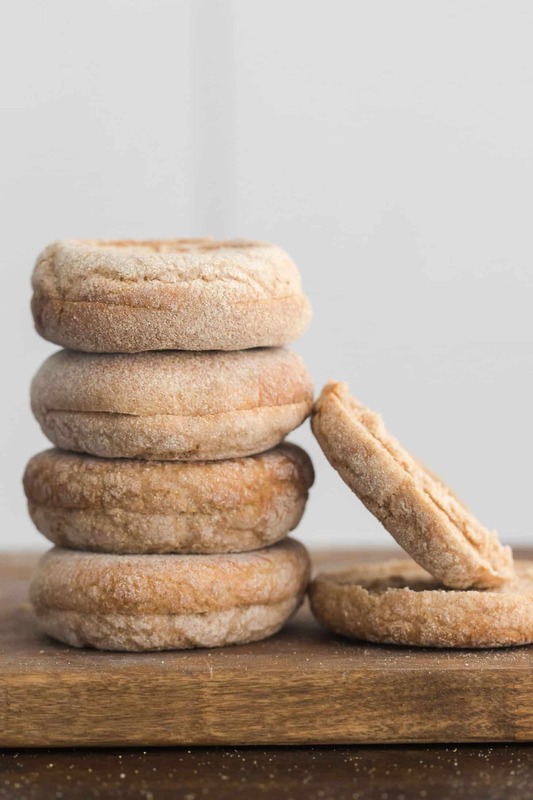 There are many brands of English muffins on the market but many have extra ingredients that aren’t really necessary. 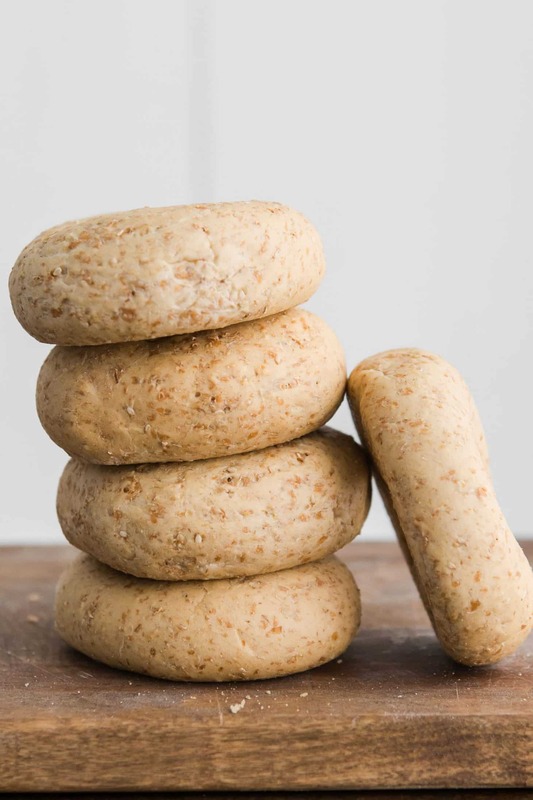 You can make English muffins at home and they are great with alternative wheats- I prefer using farro or einkorn flour in place of the whole wheat flour. Fresh English muffins will keep up to a week in the refrigerator or up to 6 months in the freezer. While naan and pita look similar, each have a different role in my kitchen. Compared to pita, naan has a slightly airy texture, is softer and is not always vegan (it usually has yogurt, eggs, or milk). Naan traditionally comes from Indian cuisine and is cooked in a wood-fired oven. However, naan doesn’t need to be exclusive to Indian cuisine and you can make it at home on a stovetop. It is the perfect companion for soaking up sauces. 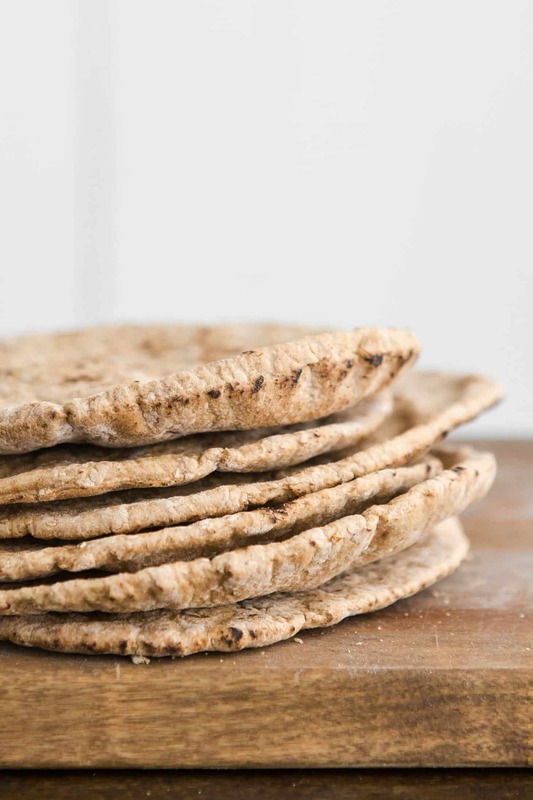 Store leftover naan in the freezer for up to 6 months or keep fresh naan in the refrigerator up to 1 week. Use naan with curries, as sandwich wraps, or as companion for hummus. I also like to use naan as a base for quick, personal-sized pizzas. Just add your favorite toppings and bake until the cheese has melted and the naan is crispy. While some of the items on this page are an occasional item I purchase or make, pita can always be found in my freezer. Pita with pockets is about the best way to travel with a sandwich, pita can be made into chips (or just used warm) as a companion for dips (especially hummus). Similarly to naan, I’ll use pita as a quick base for personal-pizza. Pita are usually vegan, unlike naan, but the cooking technique is what helps the pita to puff and create the pocket. Pita have one rise, are rolled out into the pita shape, then transferred to a hot oven. Pita keep in an airtight container for a few days or will last for a few months in the freezer. I like to store extra pita in the freezer and pull out one or two as needed- they thaw quickly and reheat well. We have a pizza night nearly every week. It’s something fun to cook and we can easily mix-up the toppings we use. The longest part of making pizza is making the dough, but it can be made ahead of time (and frozen). I keep a couple balls of pizza dough in the freezer and pull it out to defrost in the morning. 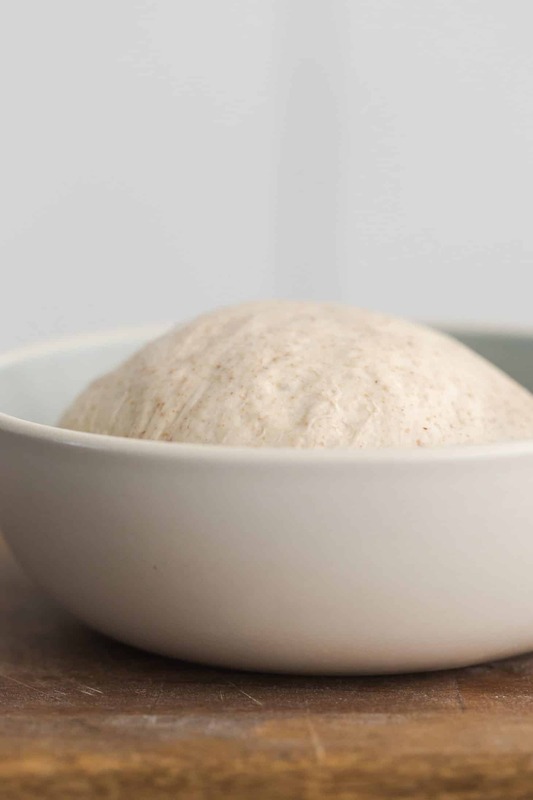 I prefer to mix up my doughs by using a few different flours but if you can master a solid whole wheat pizza dough- you’re set. Pizza dough will keep in the refrigerator for a couple of days or up to two months in the freezer. If you don’t want to make pizza dough, a few stores carry fresh pizza dough in the coolers (like Whole Foods or Trader Joe’s). We’ll do this on those nights we really want pizza but didn’t plan ahead! If you’ve never made spring/summer rolls before, I urge you to try it! Spring rolls are a wonderful way to pack fresh vegetables and herbs into a healthy meal. I always keep rice papers on hand for those quick, fresh lunches. Rice papers can be a bit tricky to work with at first. Once you get the feel for the timing of the soaking process, you’ll have fresh summer rolls in no time. Rice papers are sold in square and round forms as well as white papers and brown papers (based on the type of rice used). Ingredients should only consist of rice flour, tapioca flour, water, and salt- that’s it. I find the round papers easier to work with and always try to pick up the brown rice papers over the white. Rice papers will last a few years when stored in an airtight container. Look for rice papers in Asian markets or in the Asian section of regular supermarkets. This section is a very broad description for an item that has hundreds of varieties and baking methods. We always have a loaf of bread on hand for the occasional piece of toast, sandwich, grilled cheese, or nut butter sandwich. I suggest experimenting with different grains and flours in the bread. 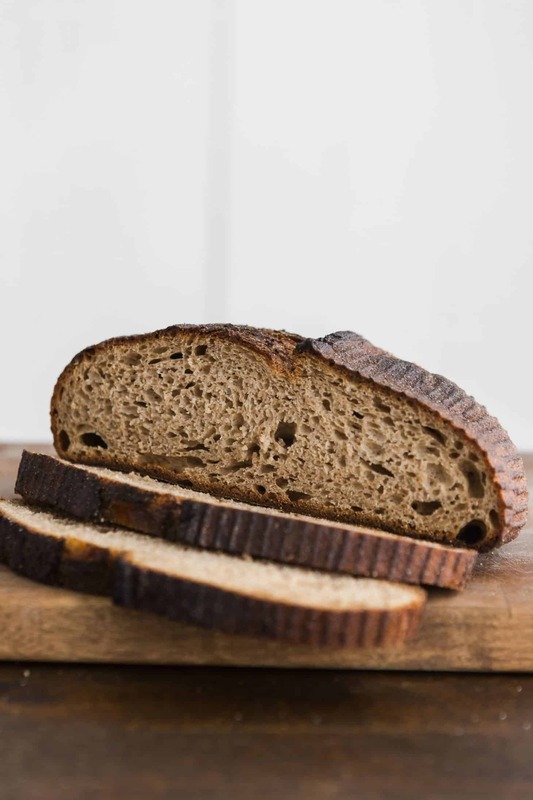 My favorite breads are usually spelt or farro based- the wheat flavor is unmatched. There are many, many methods for baking bread and I’ll be the first to admit that it’s not my strongest area. However, in the links are a couple of my favorite bread baking resources. I like to make a couple loaves at a time, freeze the extra, and then thaw as needed. Fresh bread will last a few days and frozen bread is good for up to 3 months or so. The best part about bread is that once it starts to go stale, it’s perfect for making french toast, croutons or bread pudding! Tortillas are one of my favorite bread/wrap items to have on hand. I eat tacos at least once a week and having a stash of corn tortillas makes it extremely easy to throw a dinner together. Flour tortillas make wonderful burritos or lunch wraps. The homemade version tastes better and usually has minimal ingredients. Ever since I started making my own, I only buy tortillas if I’m in a pinch. There are a few different tortilla brands on the market that are decent. 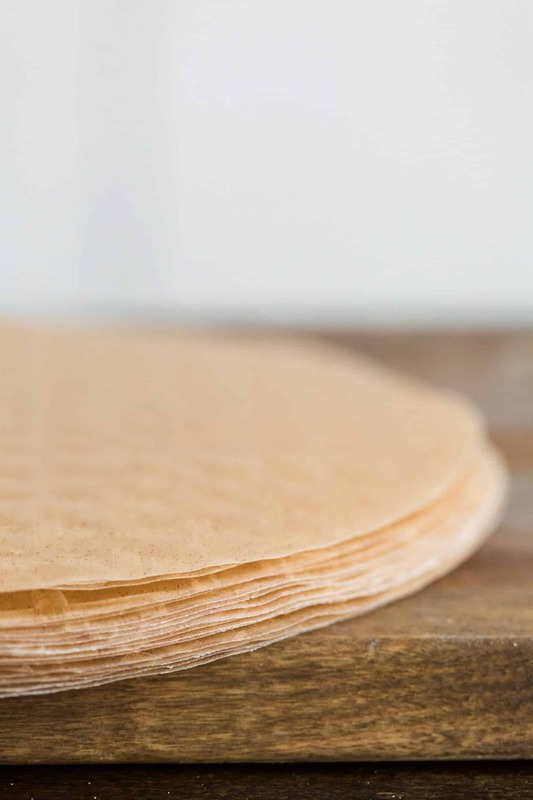 Tortillas will keep up to 6 months in the freezer and fresh tortillas will last up to a week in the refrigerator. Use corn tortillas for tacos, enchiladas, tostadas, or to make your own tortilla chips. 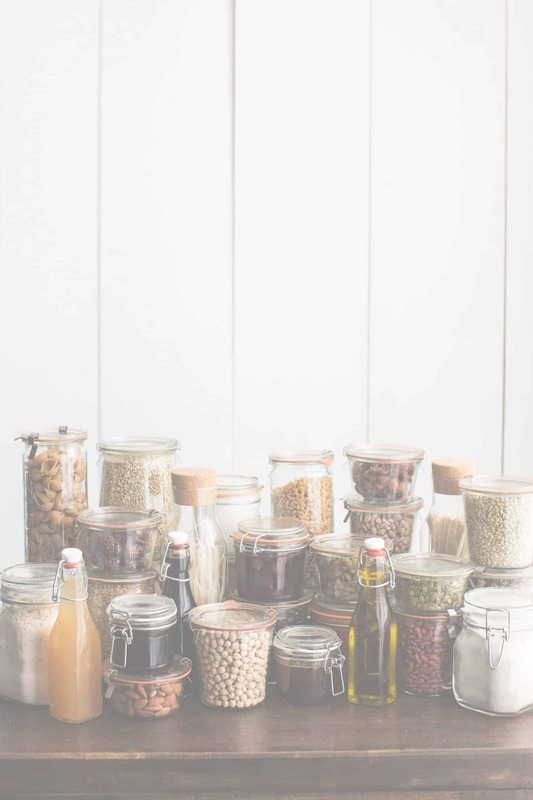 This is one pantry item I recommend always keeping on hand. While this isn’t a staple for everyone, I have a slight love affair with potstickers. It’s one of my favorite make-at-home recipes that feels like a bit of a splurge (but can still be completely healthy). Wonton wrappers should only have a few simple ingredients: flour, egg, water, and salt. 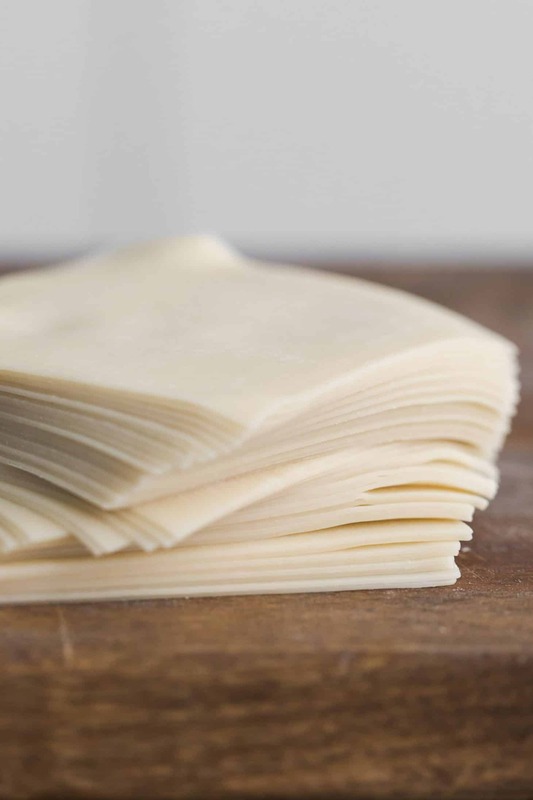 Unlike rice papers, wonton wrappers can be made at home and can even be made gluten-free. From there, the wrappers can be stored in the refrigerator up to a week or you can make an extra batch of the recipe and freeze (which is much easier than trying to use frozen wonton wrappers). Potstickers can be baked, pan-fried, or even deep-fried and work well with a myriad of fillings. Also, beyond potstickers, wonton wrappers work exceptionally well for quick ravioli. Simply fill with your favorite ravioli filling, seal, and boil in hot water. Look for pre-made wonton wrappers in an Asian or international market. Occasionally, local grocery stores will also carry these wrappers in the refrigerated section.